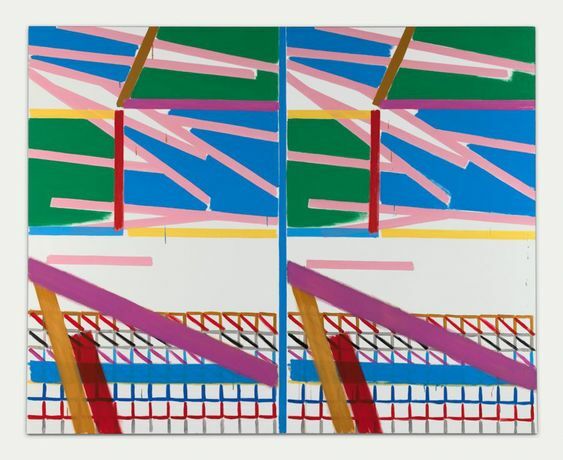 We are delighted to announce Bernard Piffaretti’s first solo exhibition in London. The exhibition charts Piffaretti’s consistent methodology; since 1986 Piffaretti has committed his practice to the “duplication method”, abstract paintings that appear to be two identical halves split through the vertical axis. Closer inspection reveals moments of differentiation: the inclination of the brushstrokes, the number of drips, the weight of the hue. For his first exhibition at Kate MacGarry, Piffaretti exhibits works spanning three decades – “The duplication clouds the origin of the time of the work. All supremacy is abolished, and that is the subject of my painting”.